As my second trip to Ghana winds down, I think of what I’ve seen and accomplished. The people I’ve met, the places I’ve visited. The mark I’ve left on this wonderful nation, and that it’s left on me. One returns from a trip like this a better person, and that growth is enhanced by those who touch your life during the brief sojourn away from the known. I have literally met royalty this trip (long story, won’t talk about it for privacy reasons.) I’ve worked and played with some very fine physicians, IT people (yes they are! ), technologists, and and so forth. Neither an abundance nor a lack of resources can dictate the someone’s quality (or lack thereof). Suffice it to say, there are good, kind, capable, and amazing people anywhere and everywhere. You just have to find them. I’m going to tell you about the most amazing person in Ghana, perhaps in Africa, and maybe beyond that. 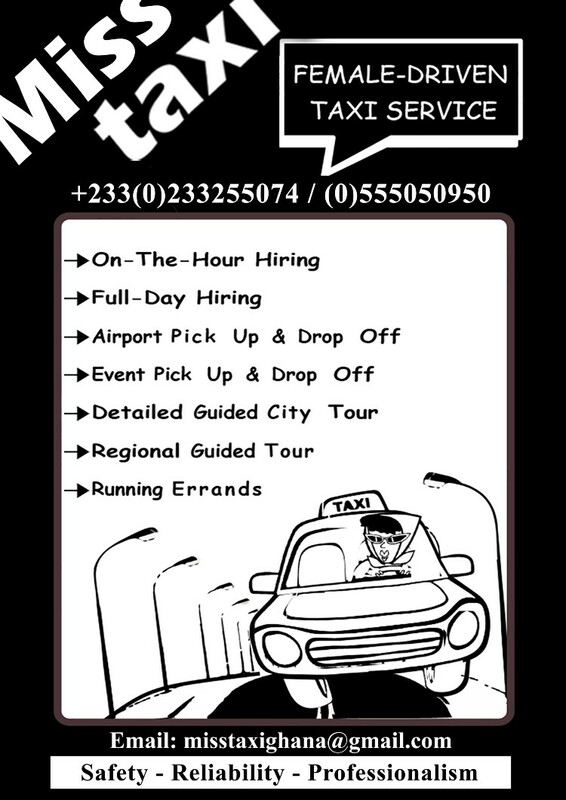 Her name is Esenam Nyador, but she is known throughout Ghana as “Miss Taxi”. And she is KNOWN throughout Ghana. Everywhere we went, she was recognized and greeted as the celebrity she truly is. My fellow volunteer discovered Esenam in the process of figuring out what to do over the weekends, when there is little activity at the hospitals. Any Google search involving “Ghana” and “guide” will yield listing after listing mentioning “Miss Taxi”. And so, we had a tour like I’ve not experienced anywhere in the world, planned, executed, and delivered by someone who is very clearly proud of her nation. 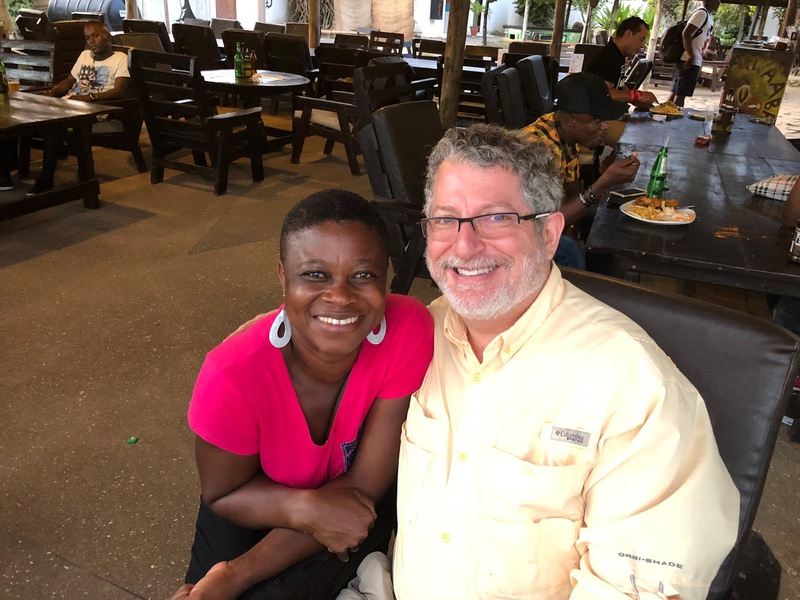 Her love for Ghana shines through at every point, and it is very, very infectious. I could give you a travelogue, and drone on with descriptions of stop after stop. But I’m not going to do that this time. I’m not even going to put up more pictures. You need to come here and see this place for yourself, and you need to have Esenam show it to you. Trust me. I’m a doctor. So what’s the big deal with “Miss Taxi” you ask? It’s all there in her nickname. Miss. Because Esenam has almost single-handedly broken into a formerly (and still, to a considerable degree) all-male field. In the United States, we might shrug and wonder why this is a problem, but in Ghana, it’s a problem. A BIG problem. The male Taxi Unions would not let her participate in the business. Until, that is, she offered to take the riders they wouldn’t transport. And from there, she built a thriving business. People still stare, four years into this social experiment, if you will, at the “lady taxi driver”. While there are a few more, this is still a male-dominated business. But there are clients, perhaps mainly female, who feel safer with a female driver. And many of those women have husbands. See how it goes? The project that I work on is known as Women Moving The City Project. It seeks to training 60 women to drive intra-city commuter buses in Accra. The training is gradually grinding to its end and our ladies are awaiting the official agency to test them and grant them driving licences. The project is been funded largely by GIZ Ghana, Scania West Africa and West Africa Transport Academy. I actually started out as a volunteer for the project, right from the project campaign design stage as the ambassador. Months into the project, GIZ Ghana hired me as the Gender Consultant on contract and they are extending my contract till August to cater for the second project. It humbling to know that my volunteerism to help empower fellow women has not gone unnoticed! The project won a third position prize in the GIZ Global Gender Projects award in Germany on the 9th of March this year. The second project has just been rolled out. It’s dubed Women Moving Trucks. It’s equally funded by the same team. Twenty women are to be trained for a logistics company for ready employment to transport goods on the western corridors of Ghana. Kids, I’m not a feminist. I’m not a chauvinist. My daughter, Dr. Dolly, says I’m a humanist. If that translates to simply not caring about trivial differences, I’ll accept the title. But seriously. I have always had a few innate beliefs, and I’ve been told I might possibly have some Buddhist mentality, which I take as an extreme complement. Number One on my list is that everybody is equal, and should have the opportunities afforded to anyone else. I’ve just always felt that way. Can’t tell you where I got it. Everyone has strength and nobility, and so on, and we need to celebrate that, and we need to let everyone on the planet evolve to their full potential. Keeping someone from doing so because of their gender or skin color or whatever is just plain stupid. I can’t drive a truck or a bus, and I wouldn’t last 39 seconds driving a car on the streets of Accra. But I have zero problem working with someone who DOES have those capabilities. Female? Why do I care? Get me there safely and comfortably please. Which is exactly what Miss Taxi does. Ghana is a poor nation, but its people are the most gracious I’ve met in a lifetime of world travel. Their hospitality is second only to their generosity. All they want in return is to know that they have pleased you. What they might lack in material wealth, the Ghanaians make up for with their grace, honesty, and humility. Come to Ghana, to Accra. And let Miss Taxi show you the sights. You won’t be sorry. Unless you ride with someone else!